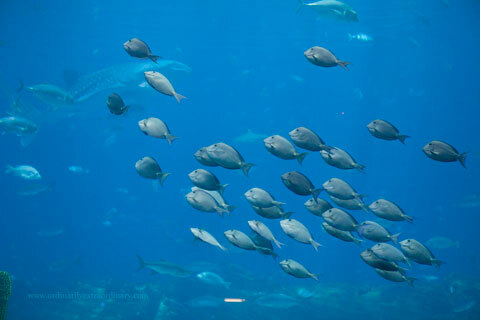 I'm so glad that so many of you got to go to the Georgia Aquarium for blogger day!! We have been invited to another event in Atlanta: Diana: A Celebration. This exhibit is now open at the Atlanta Civic Center and chronicles the life of the late Diana, Princess of Wales. The exhibit showcases the life and humanitarian work of Diana through nine galleries containing more than 150 artifacts-ranging from Diana’s royal wedding gown and 28 of her designer dresses to family heirlooms, personal mementoes, paintings, rare home movies and photos. 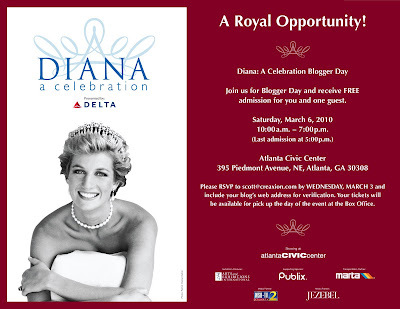 Bloggers are invited to attend Diana: A Celebration Blogger Day at the Atlanta Civic Center on Saturday, March 6, 2010, to experience Diana: A Celebration first hand from 10:00am-7:00pm (last admission at 5:00pm). Bloggers will receive FREE admission for them and one guest. Please RSVP to scott@creaxion.com by Wednesday, March 3. Bloggers should include their blog’s web address for verification. Tickets will be available for pick up at the Box Office, located in the lobby of the exhibition, the day of the event. 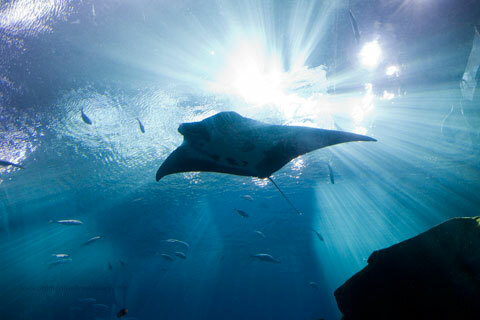 Today I'm going to veer off my usual path of things I love about Alabama and share about the Georgia Aquarium's Blogger Day. Did anyone else take advantage of the blogger day promotion? After having to postpone our trip to the High Museum for the Davinci Exhibit due to the snow of 2010 the weekend before I couldn't pass up the chance to visit the aquarium while we were in Atlanta last weekend. 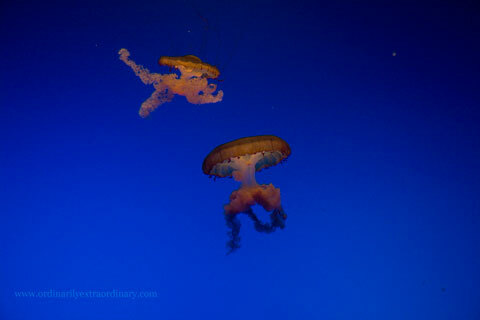 I love aquariums. 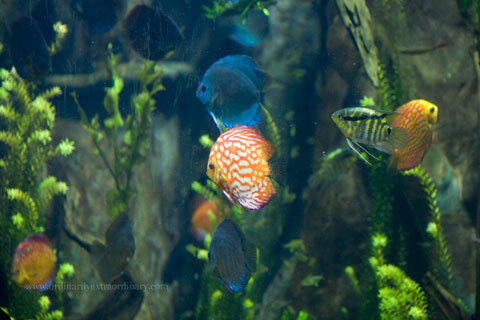 If it weren't for my son who wants to move around and see everything I could just sit and look at the fish all day. So relaxing. Here are a few of my photos from our trip. The big push though was for their exhibit, Planet Shark: Predator or Prey which of course my 10 year old son loved. Me? I could live without the thought of sharks personally, but for a 10 year old who loves anything science related, it was great. From facts about sharks and of course shark teeth (did you know they can reproduce a tooth in about 24 hours) and how they've evolved over the centuries, it was all my 10 year old boy could ask for. I did find the “frozen in time” display featuring a real, frozen 700 lb Bluefin tuna and its natural predator a real frozen 10 ft. adult Mako shark incredible. There were also full scale shark models, shark cages and artifacts from the movie Jaws among many other things. All in all I found the exhibit well done and it certainly kept my 10 year old's attention and interest. The Plant Shark exhibit was definitely for older children. Some aspects could be frightening to young children. Photography was not allowed within the Planet Shark exhibit, but Grande Exhibitions and Georgia Aquarium was kind enough to share a few promo pics with the bloggers. 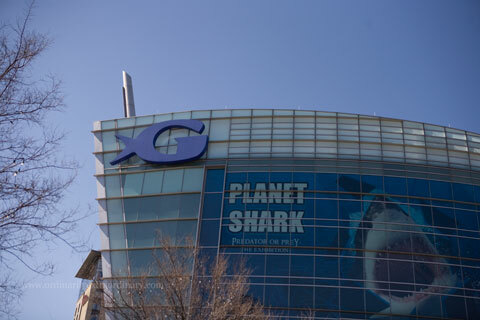 To stay up to date on the latest news, info and discounts follow Planet Shark and Georgia Aquarium on Facebook and Twitter. 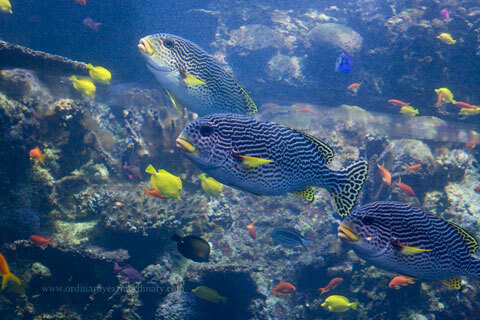 Keep reading as well for a discount coupon when you purchase a combo pass for the aquarium and exhibit. Thank you to Grande Exhibitions and Georgia Aquarium for the complimentary tickets to the aquarium and the Planet Shark exhibit. We had our meet-up today at Panera in Hoover, and had a great time! We had 10 people that came out for it, including four new people! I really enjoyed meeting everyone, and we had some great conversations! Today we are visiting Mooresville, Alabama. Debi is our tour guide today. I hope you enjoy your visit! Another town I visited during my recent walkabout/driveabout was the historic town of Mooresville, Alabama. 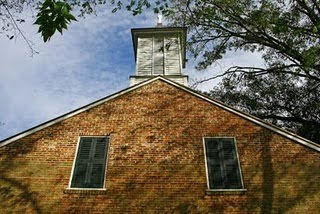 Mooresville is the first town incorporated by the Alabama Territorial Legislature on November 16, 1818. (I ripped that little piece of information right off their website) I've enjoyed visiting this town since I was a child. Nestled in a beautiful wooded area between Madison and Decatur, Mooresville is an active, working town. The architecture here is astounding. Some call it the "Williamsburg of the South." Driving in I noticed signs warning that photographers need a permit so I drove straight to the historic Post Office for information. The lady there was very nice, gave me a permit application and granted me permission to take a few images since I was already there and assured her I wouldn't be selling them. She didn't ask me about blogging but I think this is okay. 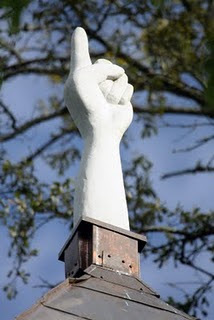 Instead of a cross the steeple supports a large wooden hand pointing to heaven. This is not the original hand. 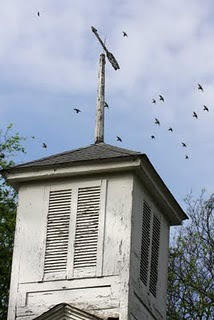 According to the website a replacement was carved and placed on the steeple during a ceremony in May 2005. Down the road a piece is the Church of Christ. 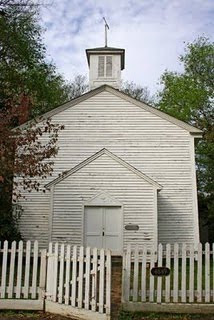 It was originally built in 1854 as the Disciples of Christ meeting house. General James A. Garfield, our 20th President of the United States, preached here in 1863. Starlings flew past as I grabbed some images. 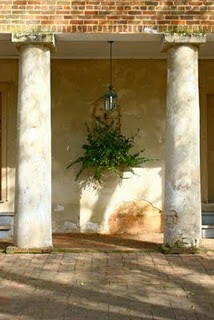 There are many historical properties in Mooresville, each one just as beautiful as the next. The Mooresville Post Office is fascinating, being the oldest operational post office in the state of Alabama. I didn't get a photo of it or anything else that day out of respect for the nice lady who allowed me to take a few "snapshots" of the town. Check out the Mooresville, Alabama website for more details. They have walking tours and really gussy up at Christmas. I'll go take more photos then because I learned through the permit process that regular ole photographers like me do not have to have a permit. Dang...and the sugar maples were JUST RIGHT that day!!! Mooresville .... I'll be back! Debi was once Program Director at WAAY-TV in Huntsville - back in the GOOD old days of television. Currently, she's a nature photographer and blogger enthusiast, active in preservation issues. Co-Founder of the Bay Hill Conservancy on Wheeler Lake; won several Outdoor Alabama photography contests, and is in the midst of creating a website for her nature photographs and greeting card series, all to benefit preservation of the great state of Alabama. Married to an exceptional man and mom to a remarkable 18 year old, and have a really fat dog. You can visit her main website at Debi Bradford. Thanks Debi!! I loved this post and all the other posts you wrote on Mooresville. To read more posts and see great pictures from Debi's trip to Mooresville please hop over to The Giraffe Head Tree. I promise you will not be disappointed!! Our next blogger meet-up will be at Panera Bread in Hoover at Patton Creek 11:30 (but if you need to be late, that's fine - we're usually there for a while) on Friday, February 19th. Can't wait to see you all! Be sure to RSVP on this post or the original post so we know to look for you, and tweet about the event using the hashtag #AlaBlogMeet ! Also - just a reminder for outside-of-Birmingham Alabama Bloggers: I'd LOVE to have meet-ups in other places around the state, and all it takes is for one person to pick the place and date and commit to be there, and I'll advertise it! Please let me know if you want to be a meet-up organizer for your city!! Thanks for all of your great feedback on the next Meet-Up location! Hoover was by far the consensus vote, and of the suggestions, I think the most accommodating location would be Panera Bread at Patton Creek. Let's meet at 11:30 (but if you need to be late, that's fine - we're usually there for a while) on Friday, February 19th. Can't wait to see you all! Be sure to RSVP on this post so we know to look for you, and tweet about the event using the hashtag #AlaBlogMeet ! Did you know that there are over 6000 children in the foster care system of Alabama? Of these over 600 are available for adoption and while many will be adopted by their foster families many others are still waiting. Waiting on their forever families. And that's where Heart Gallery Alabama steps in. Heart Gallery of Alabama is an organization working to help these children find their forever families. The Heart Gallery recruits photographers to take portraits of these precious children to promote adoption. The portraits are displayed in places all over the state where prospective adoptive parents can learn more about these amazing children. Their mission is to find permanent, loving families for each of these children. There are many ways you can help. You can visit their site here to find out more, but you can also do something this week. Join them for an evening of art, gifts, & vacation pacakges, live music and food at their Foto, Frames & Fun 2010 event. The event will be held at Ted's Garage (2309 5th Ave S, Birmingham, AL) on Thursday, February 11 at 6 p.m. Tickets can be purchased here. Information for this post was found at the organization's website. When I check out at Publix and the cashier tells me how much I saved - I ride the high all the way to the car. Even in spite of the 5 bakery petit fours I ate first and paid for second. 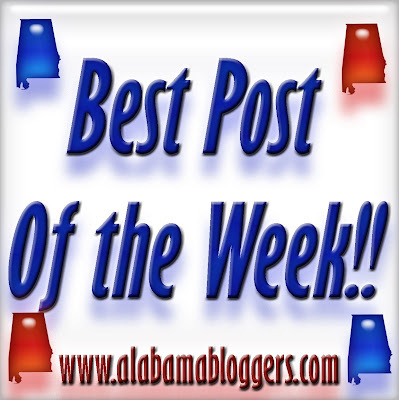 If you might be interested in the same type of thrill, then I have the Alabama Bloggers for you. Heather and Jessica at Saving Money & Living Life teach you and me about saving money on all types of purchases from all types of places. They cover the basics of coupons with links to new finds almost daily. They also find great freebies and share the wealth. My favorite feature is their weekly "treasure maps" for navigating Publix and CVS with their complex BOGOs and extra care bucks. Heather & Jessica do all the work and we reap the rewards. My favorite kind of partnership. I am so lucky to live close by to my mom, who undoubtedly is my best friend. Today we had some free time and went to the thrift store together where I found a few great treasures. After working up an appetite, went to Bernies on Main (in Columbiana, Al.) for lunch. 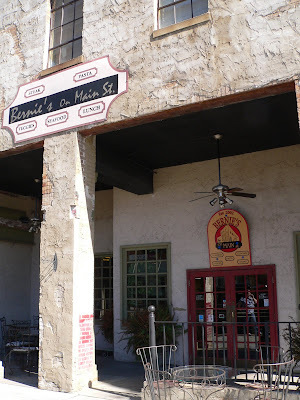 Owned by Chef Bernard ("Bernie") Tamburello, Bernies is one of my favorite places to eat. At lunch Bernie has a wonderful vegetable bar. Today though, I was craving the Mandarin Salad (small $5.95 or large $7.95). My mother was having the same craving. We both ordered the small salads. The salad consist of iceburg lettuce, mandarin oranges (naturally), feta cheese, croutons and sliced almonds. It comes with a orange vinarette dressing that is wonderfully delicious. The salads hit the spot for us. 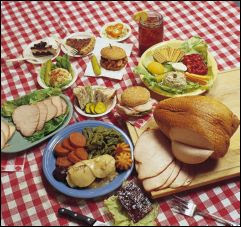 But should you be "hankering" (a term my mom likes to use) for something different there is much to choose from, including crab cakes, steaks, and saefood to hamburgers, chicken fingers, spaghetti bologne, pasta alfredo, pasta carbonara and a varity of soups. If you are looking for some place with ambiance, Bernie's is a quiet spot. Located inside a historical brick building it reeks with charm and culture. With exposed bricks, painted plaster & hardwood floors it is a very "earthy" vibe, perfect to impress your Valentine date or otherwise. February's meet-up will be Friday, February 19th! But - which part of town is the most convenient for those of you who want to come? Homewood, 280, Hoover, Southside? Where are your suggestions for the best meet-up locations? I'll take into account all of the Twitter and Blog responses and announce the location next week.